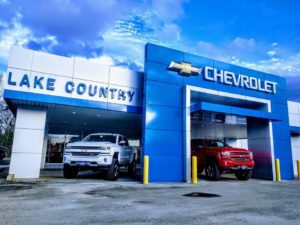 In recognition of One Ask Sponsor Appreciation, the Chamber would like to pay tribute to one of our Platinum level sponsors, Lake Country Chevrolet, located at 2152 N Wheeler Street in Jasper. Why drive out of town when you can “catcha-one” great deal at Lake Country Chevrolet! Thank you to Lake Country Chevrolet for their loyalty to the Chamber!